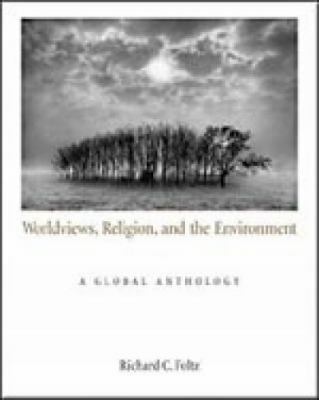 Perhaps unprecedented in scope, this anthology explores current environmental and ecological issues amidst the various worldviews, cultures, and traditions that constitute the world's major religions. Presenting a global conceptual landscape in part one with selections that focus on the spiritual and environmental crises associated with modernity, this volume, with typical skillful editing in part two, distills all of the major world religions' perspectives?Eastern, Western, and newly emerging'on contemporary ecological issues. Part three rounds out this extraordinary collection of insights with an exploration of other cross-cutting motifs in today's enviro-cultural criticism, including radical environmentalism, ecofeminism, ecojustice, and the rising voice of the Global South.Foltz, Richard C. is the author of 'Worldviews, Religion, and the Environment A Global Anthology', published 2002 under ISBN 9780534596071 and ISBN 053459607X. Loading marketplace prices 16 copies from $40.97 How does the rental process work?